The Radiohead experiment is now old news, but that doesn’t mean others will not attempt their own experiments. 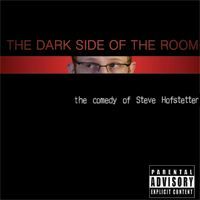 Following in the footsteps of Radiohead, Steve Hofstetter, an up and coming comedian with a strong Internet following among high school and college-age kids, has released his latest album “The Dark Side of the Room” on his Website. He’s believed to be the first comedian to take a pay-what-you-want approach. He currently is averaging about $6 an album, including freeloaders. That’s more than triple what his royalty would be if this we released by a label. The most common price paid is $9.95, what the album would cost on iTunes. Unlike Radiohead, Hofstetter has his fans choose between various payment levels — 1 cent (I wish it were free!) to $4.95 (a bargain!) to $8.95 (save a buck) to $29.95 (big tipper!) and everything in between. Only the $9.95 and up sales count towards charting. 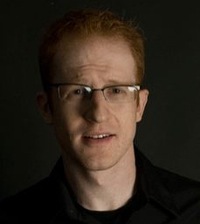 Even with that, Hofstetter says, he expects to reach between #10 and #15 on the comedy charts in the first week. In the first two days of sales, Hofstetter says he has made more money than he did in the first two weeks of his last album. Wow…hopefully this type of billing/payment method will be used more in the future. Why should all these record labels profit insanely from the true talents in the industry? Thanks for furthering the example of do-it-yourself. It inspires me to do the same.